They’re totally lying about 5G, and that’s very GOOD news! A key witness in the Las Vegas shooting massacre has killed himself and his disabled daughter in a horrific murder-suicideshortly after the FBI raided his home. John Beilman was wanted for questioning by federal agents in connection with a communications device discovered in suspected shooter Stephen Paddock‘s hotel room. 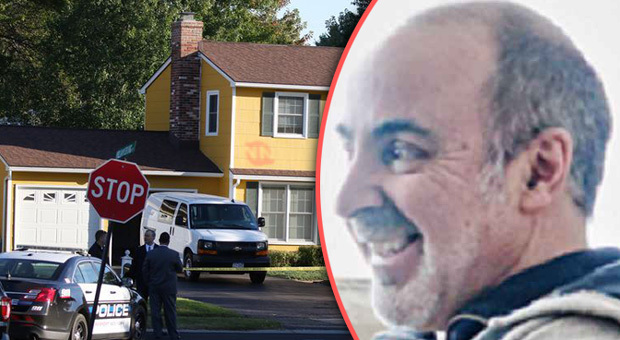 Investigators searched Beilman’s Fairport home the day before he shot his severely disabled daughter and himself, according to sources close to the investigation. Agents executed a search warrant and raided Beilman’s Williamsburg Drive home the day before he took his daughter, Nicole, into the backyard and shot her and then himself in the back of the head with a 12-gauge shotgun. John Beilman’s 27-year-old daughter, Nicole, had Rett Syndrome, a rare neurological disorder. Nicole Beilman relied upon a wheelchair and was dependent on her parents for care. Listing himself as a “product design and manufacturing professional”, this report continues, John Beilman was employed by Ultralife Corporation between 2007-2012 where he worked on various top-secret communications systems for the US military—thereafter his leaving to become a top engineer at the General Motors research facility located in Rochester New York. Fearing that Ultralife Corporation had been secretly funneling their US military communications systems to the CIA, this report notes, this past Tuesday (3 October), the FBI raided the home of John Beilman under a secret US Federal Court warrant—and that caused Beilman, less than 12 hours later, during the early morning hours of Wednesday (4 October), to wheel out his severely disabled daughter Nicole into his home’s backyard where she was executed, with Beilman then killing himself too—and that was followed 48 hours later (6 October) by the Pentagon awarding Ultralife Corporation new contracts valued at over $49 million. The FBI claim they didn’t protect, or at the very least put under 24-hour surveillance, John Beilman following their raid on his home, due to American domestic intelligence experiencing a manpower shortage in their Las Vegas massacre investigation. According to D&C, John Beilman committed the murder-suicide shortly after 5:20 a.m., Fairport police say. Fairport police said Beilman’s wife, Donna Beilman, was inside the home and did not hear the shots that took the life of her husband and daughter. Fairport Police Chief Samuel Farina said John Beilman left behind a “goodbye note” to his wife that indicated the circumstances of the shooting but not a motive. A neighbor of Beilman reported that he saw two police cars near the home the day before the killings. Farina said this week that police had not responded to any calls at the home. The FBI and federal prosecutors declined to comment. A federal magistrate judge would have approved a search of the home. However, approval of a search does not ensure a crime was committed; instead, it is a search for evidence of a crime. Records of federal searches are often filed under seal, and there was no public record available Friday of the search of the Fairport home.